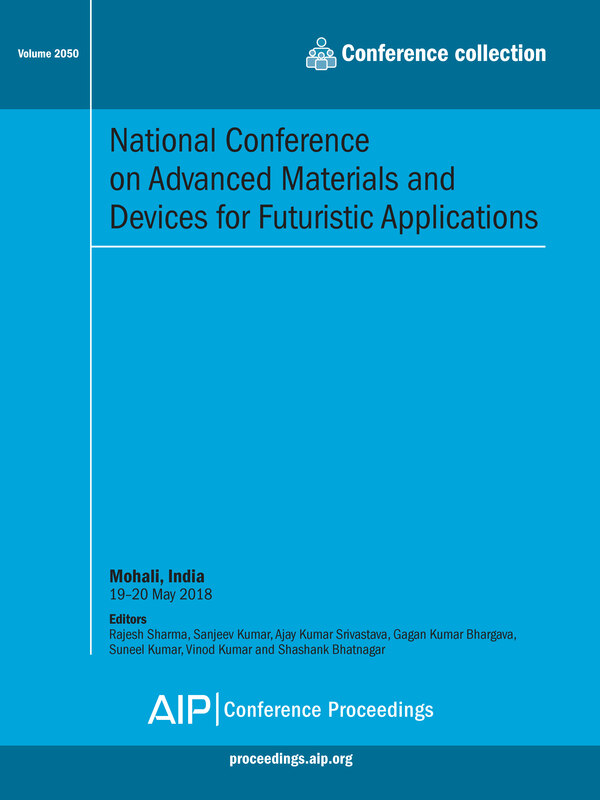 Summary of this volume: A two day National Conference on ôAdvanced Materials & Devices for Futuristic ApplicationsË was organized by the Department of Physics, Chandigarh University, Gharuan, Punjab on 19th & 20th May, 2018. The organizing committee is highly thankful to Science & Engineering Research Board (SERB), Govt. of India for financial support so as to organize this conference. The papers in the proceedings are focusing on the synthesis and characterization of the materials for the advancement in technology. For further information about this volume: Please view the table of contents available on AIP Publishing's Scitation platform: Volume 2050 table of contents.